By using the website and tour services of Tibet Odyssey Tours, you agree to be legally bound by the following terms and conditions, which shall take effect immediately. Tibet Odyssey Tours provides tourism related services with the goal of building a lasting and friendly relationship with all of our customers. This website is offered to you, conditioned on your acceptance without modification of the terms, conditions and notices contained herein. Your use of this website constitutes your agreement to all such terms and conditions. The travel date, service items, itinerary and number of visitors, visitors’ ID information, etc. can be modified free of charge 30 days or more before the trip. If the visitor needs to make a second modification, an additional service fee of 5% of the deposit will be charged. Every time the content of the travel contract is modified, the company reserves the right to re-quote. If the contract is modified or extended due to force majeure such as traffic, weather, politics, etc., it can be modified free of charge, and our company still reserves the right to re-quote. 1) Whole group departure: the payment for the unconsumed items of ticket, hotel, vehicle and tour guide will be refunded if the whole group leave. 2) Individual departure: If an individual client leaves, the individual’s payment for the unconsumed items of ticket and hotel will be refunded. If the individual shares the payment for a hotel room with another group member, the payment will not be refunded. And the remaining members continue the trip as planned. If the participating group member leaves early before the trip ends due to personal reasons, the payment for the unconsumed items of ticket and hotel will be refunded. If the individual shares the payment for a hotel room with another group member, the payment will not be refunded. If individual clients end the planned trip early due to personal reasons or require medical treatment, the additional cost for medical treatment, vehicles, tour guides, hotels will have to be paid by the clients themselves. All clients must be in possession of a valid passport and the necessary visas or permits at the commencement of travel. All such documentation is the sole responsibility of the client except the Tibet permit which is applied by Tibet Odyssey Tours. Your travel advisor may assist you in applying for the necessary travel documentation upon request. Tibet Odyssey Tours accepts no responsibility or liability whatsoever for the failure of clients to obtain appropriate travel documentation necessary for your tour. Clients should take into account all international travel risks and familiarize themselves with health requirements applicable to the areas they intend to visit. The client is solely responsible for checking the safety and security conditions, vaccination, and other health requirements of governments in countries visited or transited. Travelers to Tibet are required to provide a doctor's certificate stating that he/she is fit to travel and his/her blood pressure and heart condition are normal. This is a necessary requirement because of the possible effects that the very high altitude of Tibet may have on certain people. Tibet Odyssey Tours tour packages include China Life Tourist Accident/Casualty Insurance up to a maximum of $29,000 provided free of charge as part of our package. We still highly recommend that you purchase full coverage travel insurance from your country of origin. Insurance provided by Tibet Odyssey Tours is not applicable where only hotel or domestic flight bookings within China are purchased through Odyssey tours. 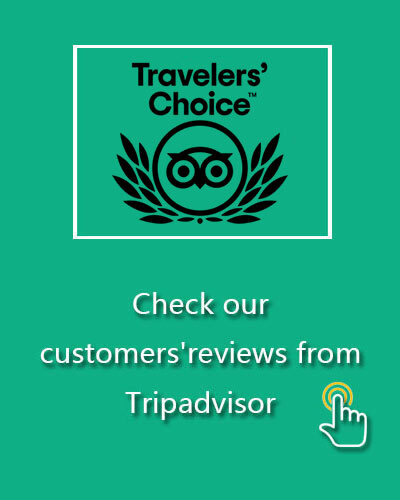 If you are not satisfied with our service, please immediately notify your local tour guide or your travel agent to avoid potential similar problems continuing to occur during your trip. For any complaint or claim for compensation, you must inform us by e-mail or fax within 15 days from the end of your tour. Relevant receipts and substantiating evidence must be attached to the letter of claim. Tibet Odyssey Tours shall not be liable for any claims filed more than 15 days after the completion of you tour. You may contact Tibet Odyssey Tours via the web form from www.tibetodysseytours.com and by email, fax, or phone. If for any reason, you fail to receive any reply from Tibetodysseytours.com in regard of your tour status within 48 hours from the time you submitted the request for booking, modifying, or canceling a tour, please contact Tibetodysseytours.com customer service center at info@tibetodysseytours.com or by phone at 86-18889089998 immediately to ensure that we are able to deal with your enquiry according to these Terms and Conditions. Tibetodysseytours.com provides tour information and China tour bookings. Tibetodysseytours.com publishes travel information and services gathered from selected quality hotels, air ticket agencies and tour companies & operators. Tibetodysseytours.com will not be responsible for errors, omissions or inaccuracies in information provided by third party providers. Tibetodysseytours.com shall not be responsible for any wrongful or negligent or fraudulent, omissions, changes of itinerary, cancellation or the failure of any equipment operated by those suppliers or any other party not directly owned or controlled by Tibetodysseytours.com. Tibetodysseytours.com shall not be liable for any loss, injury, or damage to person or property, alteration of itineraries or cancellation in part or in full, caused by climatic conditions, sea fire, breakdown of machinery or equipment, acts of government or other authorities, wars whether or not declared, civil disturbances, strikes, riots, thefts, epidemics, quarantines, medical or customs regulations, terrorist activities, or any other actions, omissions or conditions beyond Tibetodysseytours.com's control. Neither Tibetodysseytours.com nor any of its affiliates or subsidiaries shall be or become liable or responsible for any additional expenses of liability sustained or incurred by the tour member as a result of any of the aforementioned causes. Tibetodysseytours.com is not responsible for a client's failure to comply with customs regulations. Tibetodysseytours.com is not responsible for the theft or loss of any customer's valuables or items of personal property due to the negligence of the customer. Tibetodysseytours.com reserves the right to substitute hotels, flights, or cruise ships, to alter itineraries, or to cancel the tour prior to departure. If Tibetodysseytours.com has cancelled any tour prior to the commencement of the tour, Tibetodysseytours.com is liable for a full refund of the money received from the client. Many of Tibetodysseytours.com tour packages include activities that require reasonable care and attention. Such activities include boarding and going ashore from boats, climbing hills and entering and exiting tombs and caves etc. You will receive help and advice from our representatives but all activities are undertaken at your own risk. Tibetodysseytours.com, its employees and agents cannot be held responsible for any action or event that occurs after its said employees and agents have exercised their duty and taken the necessary care normally expected of such parties. Tibetodysseytours.com reserves the right to modify or rescind the terms and conditions in whole or in part at any time with or without notice. Tibetodysseytours.com reserves the right to modify or discontinue service to clients who behave illegally or objectionably toward its employees and agents. Offensive behavior includes behavior which is obscene, racially offensive or of a sexual nature. Cancellation 30 days or more before the trip starts, 10% penalty of the deposit. Cancellation 29-15 days before the trip starts, 20% penalty of the deposit. Cancellation 14-7 days before the trip starts, 30% penalty of the deposit. Cancellation 6-2 days before the trip starts, 50% penalty of the deposit. Cancellation within 48 hours prior to the trip starts, no refund of your deposit. If you have to cancel the itinerary due to irresistible reasons such as traffic, weather, politics, etc., the deposit will be fully refunded by the company (for loss related to air ticket/train ticket, please take reference of the first item).